The lives of Carrie and Wesley Sarbeck, international superstar Allyn Saxton, and southern socialite Cheryl Choice unwittingly collide at the Van Deman Center, a state-of-the-art clinic for the treatment of infertility, housed in a once decaying building complex in Canton, Mississippi. The facility is equipped not only with modern medical technology but also a network of secret security cameras hidden in unconventional places and controlled by cyber thief Tinker Murtagh. While Dr. Knox Chamblee, Van Deman's younger medical partner, treats his patients per protocol, he unknowingly promotes the deception, preserving the dark secrets of the Van Deman Center of Reproductive Technology. 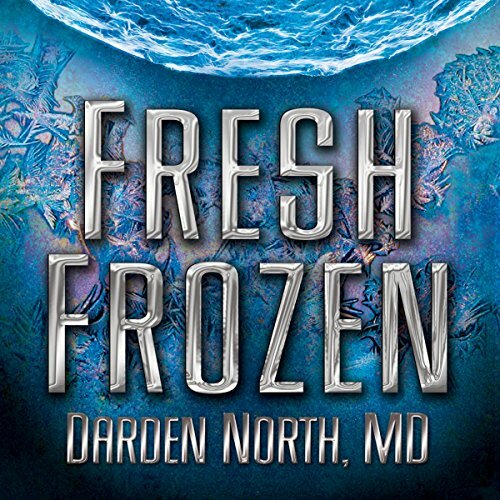 The fast-paced suspense and rich dialogue in Fresh Frozen reveal how medical ethics can easily be discarded for the right price as human reproductive tissue becomes a fatal commodity. 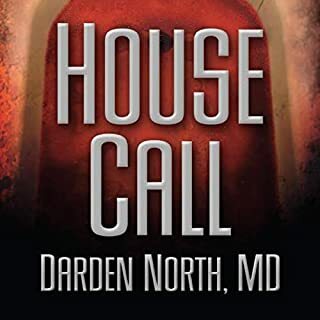 Practicing OB-GYN physician Darden North is a national IPPY-awarded author in Southern Fiction. Narrated by Flora Plumb, Fresh Frozen is North's third novel. Plumb is a professional actress in film and television as well as a voice artist in audiobooks and video games. She has narrated over 20 audiobooks. A medical thriller that illustrates not only the devastating psychological effects that infertility can have on individuals but also the potential that exists within the fertility business for unscrupulous and avaricious practices. 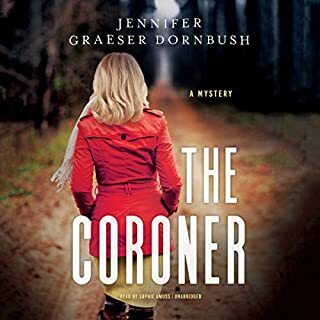 This well written book contains many surprises, twists and turns, with multiple characters lives crossing and intertwining in unpredictable, and sometimes deadly, ways. You can not help but feel the sorrow and loneliness of some of the characters and your heart breaks for the devastation of their lives. The narration seemed to fit most of the characters well, but I did feel it fell a bit flat with some of the men. It is a fast paced, enjoyable book but I would have liked the author to do more of a round up at the end of the book, as I was left wondering what the outcome for some of the characters were. What did you like best about Fresh Frozen? What did you like least? Fresh Forozen explores the consquences of couples desperate to do anything to conceive a baby.PI Tinker Mudogh is tasked with stealing eggs for a person of the law, but along the way we meet all sorts of incendiary characters in a film-noir style. The story is really fast paced--reader feels as if they are in a maze with surprises in every corner. 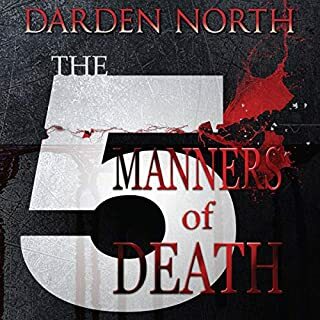 If you’ve listened to books by Darden North before, how does this one compare? 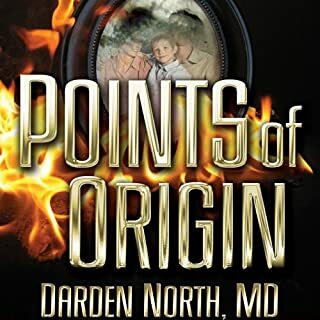 Darden North writes energetic books. Have you listened to any of Flora Plumb’s other performances before? How does this one compare? I have never listened to Flora Plum but I really enjoyed her performance. She delivered lines with the appropriate amount of softness yet mystery, and did a good job of dinstinguishing her characters. Do you think Fresh Frozen needs a follow-up book? Why or why not? This book needs a follow-up. I received an audio book version of this book in exchange for an honest review. I thought I didn't find much of interest in this involved mystery. suddenly lots on interlocking story lines hooked up and ... I am wondering if Audible will be adding some more of these books AND SOON, I hope. Darden North's books are a treasure! Try one. Listen carefully and if it leaves you scratching your head listen again from about 2/3rds of the way in. What made the experience of listening to Fresh Frozen the most enjoyable? A fascinating tale of intrigue and deception surrounding the "Business" of invitro fertilization. 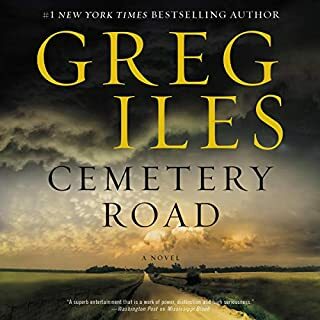 I have read (listened to the audio book) other books by this author and he deftly weaves the tales of various characters whose lives unwittingly intersect with one another. 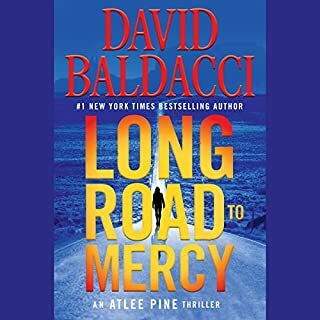 This audio book was a great companion on my latest road trip! I'll start with horrible narrator. Her voice made everyone sound like they were elderly when these women were all child bearing. The story was preposterous. Everyone was a complete moron from Dr's to the women and their families. I kept waiting for some storyline to appear, but it droned on and on and then it was just over. Fizzled out. Don't waste your credit. If you could sum up Fresh Frozen in three words, what would they be? Loved that I recognized characters from other books... This makes any story better for me, as the characters become my friends. The book took a couple of exciting twists that I totally did not expect! Also loved the fact that the ending totally has me expecting a sequel. What three words best describe Flora Plumb’s performance? Took me a while to warm up to her style.... She doesn't do male impersonations well. Can't wait to get my hands on the follow up to Fresh Frozen!